“For decades, printed marketing materials have served as both the backbone and the workhorse for marketing communications efforts,” said Jeremy Durant, a principal in Bop Design. “But then along came the Internet and social media, which turned the whole marketing communications world upside down." Earlier this month, Sony unveiled its new digital paper prototype device, as reported by Matthew Humphries on http://www.geek.com. Two new features make this device stand out – a much larger screen than most e-reader devices, and the ability to use a stylus to write notes on the e-books read with the device. According to Bop Design, a San Diego web design agency, Sony’s new prototype represents the latest in a long line of products that continue to blur the line between traditional print and digital marketing. Companies also need to consider how to optimize their print pieces for use on websites, portable devices, and other electronic formats -- especially when it comes to search engine optimization. In the past, print collateral didn’t need to take into account things like SEO, Google algorithms, or linking to other websites. 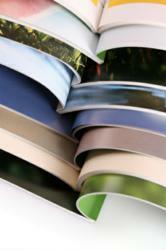 Now, these have become an essential part of the distribution process for print materials that are also used online. In addition, the emergence of iPads and other tablet devices are rapidly changing the way companies view “printed” materials. Until recently, brochures, white papers and other collateral were primarily optimized for reading on or downloading from a website. However, as more people turn to tablets for their primary reading tools, companies will need to ensure that all print materials are formatted for this platform as well. In addition to generational preferences, the biggest factor keeping print materials mainstream is the fact that data sharing has yet to emerge from its early stages of development. However, mobile technology companies are moving ahead at full speed in this area. Once data sharing between mobile devices becomes more sophisticated, businesses will find it a lot easier and more cost-effective to distribute digital materials.